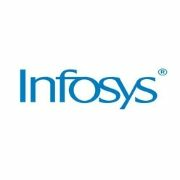 KOLKATA: Infosys will set up its first campus in the state with an "initial investment" of Rs 100 crore. The announcement, by chief minister Mamata Banerjee , ends a nine-year deadlock for the IT giant's maiden venture in Bengal. The Infosys project — initially conceived in 2008, during the Left Front regime — never saw light of day in Bengal. Back then, the company had said it would pump in Rs 500 crore and employ over 6,000 people on a 90-acre campus in Rajarhat. But the first stumbling block came in the form of a land row. Later, Hidco resolved the matter by offering a 50-acre plot in Rajarhat-New Town. But the land was finally delivered to the company in 2012, a year since Mamata Banerjee had taken over as chief minister. This again posed a problem, as Infosys' demand of SEZ status went against the Trinamool government's industrial policy. The company sought SEZ status yet again in May 2016. This was up for approval at the Central inter-ministerial body Board of Approval (BoA), provided the state government gave its nod. On Tuesday, the CM said the new office will be set up on a portion of the 50-acre plot in New Town. It will employ 1,000 people, she added. "Infosys has agreed to invest in the state and they have decided to against their SEZ demand," said the CM. "They are ready to avail themselves of the extra benefits given by the government. They had spoken to Debashis Sen (the IT secretary) and have decided to invest Rs 100 crore initially, which would provide employment for 1,000 people. The government will give 50 acres in Rajarhat for the project," she added. A source told TOI that top IT officials, including the state IT secretary, had been in constant touch with the Infosys brass for over a month. "Finally, the IT major has agreed to invest in the state. However, they said they will invest in phases. They will only utilize a part of the 50-acre plot to begin with," the source added. On July 6 this year, the chief minister had informed industry bigwigs that the state government was ready to offer any facility to the IT sector, except SEZ status, as it had become a "sunset policy". Later, in the same programme, Nasscom president and former Union IT secretary R Chandrasekhar said no new SEZ would come into effect after April 17 in accordance with the Centre's "sunset clause", which would allow only existing SEZs to get benefits till a certain period.